The Johnson Matthey Silver Bar is one of the most recognizable forms of silver bullion in the world today. These bars come in various sizes and meet all IRS requirements for use in your self-directed IRA. This multi-divisional company has been operating for over 150 years. Through the 20th century Johnson Matthey expanded internationally through South Africa, Australia, the U.S., Japan, and more. This award-winning company has been recognized for its business savvy, environmental achievements as well as international trade. The precious metals division of their company handles an immense amount of gold, silver, platinum, and palladium every year. With refineries in both the U.S. and United Kingdom, Johnson Matthey has amassed a substantial global client base of technology, recycling, industrial, and jewelry companies. 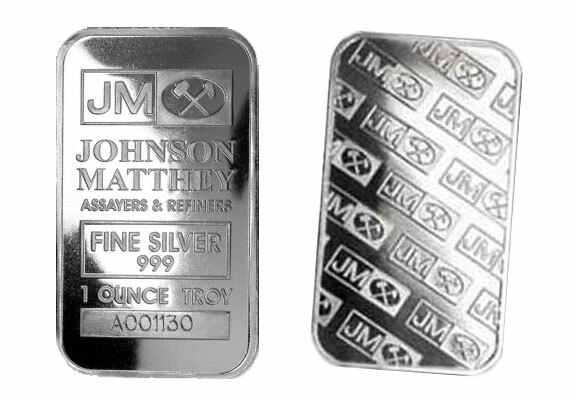 Johnson Matthey creates some of the world’s most trusted silver bars. However, beyond the technical details there are many benefits to purchasing silver. Precious metals such as silver have long been seen as an effective way to diversify any portfolio. Companies traded on the stock market may come and go, but the hard commodity of silver will always be there. If you are worried about your paper assets in your retirement portfolio, it may be time to consider the benefits of owning physical precious metals. Moreover, silver is often seen as a hedge against inflation. Massive amounts of money printing and growing national debt certainly do not help the value of U.S. currency. Silver will always be of value and is more readily accepted for payment over a hyper-inflated currency. For more information about adding Johnson Matthey Silver Bars to your Silver IRA, tax-free and hassle-free, call American Bullion at 1-800-326-9598 to speak with a silver specialist.